The first two companies to present at this afternoon’s Vertical Social Networking session proved that niche social networks can be exciting, even for people outside of their respective niches. On paper, a social network for bird watchers sounds like a joke. 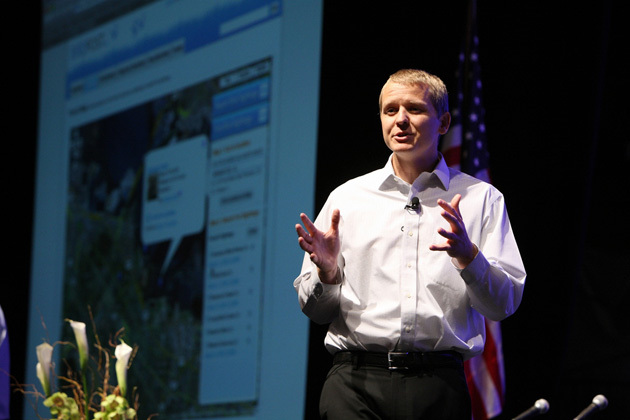 But the founders of Birdpost wowed the TechCrunch50 audience by presenting not only a very well-designed site but one that thoroughly addressed a real problem for certain people, that of locating rare birds. Like Wikipedia, Birdpost intends to unleash knowledge traditionally locked up in the heads of a small group of experts. While in the case of bird watching the group is highly focused, the founders insist that 45 million Americans would actually be interested in their knowledge. Birdpost provides knowledge about birds and, in particular, where they’ve been spotted, in three main ways. First, an interactive map based on Google Maps shows pins where birds have been spotted by the site’s members. When you click on a pin, it shows a picture of the bird and other information. Secondly, members can compile lists of the birds they wish to spot, and when someone spots any one of those birds, a notification will get sent out. And finally, members can search for birds by name, characteristics, and regions. The founders say that Birdpost has already archived all 9,600 species of birds in the world, many of them with their peculiar characteristics (“red hair”) and known territory. They plan to branch out soon into other types of animals, such as fish and insects, eventually creating an animal search engine of sorts. Click here to watch a demo of Birdpost. Closet Couture, the vertical social network that presented right after Birdpost, also brings to the web a type of information ordinarily held privately by individuals. In Closet Couture’s case, it’s the clothing you keep in your closet. Marketed to wealthy women, the site lets members upload pictures of their clothes and plan their daily outfits with a 2D modeling tool. Profiles list your wardrobe for others who are looking for ideas on how to dress more fashionably. And a packing list feature helps members plan their traveling outfits. 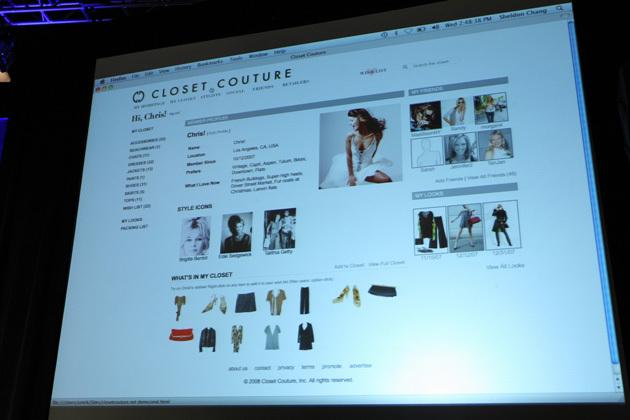 Closet Couture is a marketplace in addition to a social network, for both clothing and stylists. Members have online access to personal stylists who can be hired for one-off projects ($25 to plan today’s outfit, $350 to plan the whole month, etc). These stylist can help you pick outfits from your existing wardrobe; they can also help you pick from a collection of clothes provided by retailers that have partnered with the site. Click here to watch a demo of Closet Couture.